680mm dia x 1700mm long on straight with 120mm deep dished ends. One end fully removable with clamp closure. 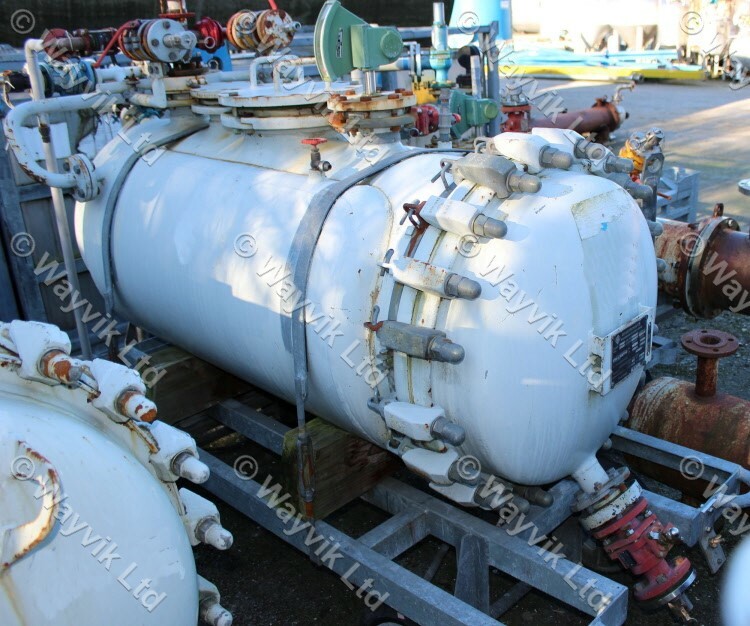 Internal working pressure 6 barg / full vacuum. Jacket working pressure 6 barg. Working temperature -10 / 200 Celsius. Mounted on mobile mild steel frame. Manufactured by DeDeitrich.